This dashboard allows you to quickly see the your recent jobs with an online booking source. These job sources can be Yelp, My Website, or HouseCall App. 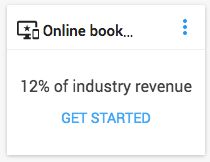 To learn how to set up your online booking, click here. To learn how to add online booking to your website, click here.